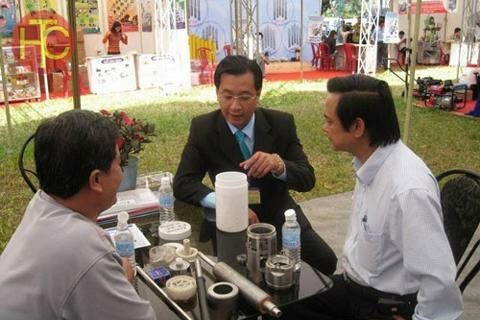 Currently, borehole pumps are gradually becoming more popular and used in our country. With the quite new name, you may wonder what structure of pumps is and how it works that it quickly won the sympathy of the people by the effect, aren`t you? 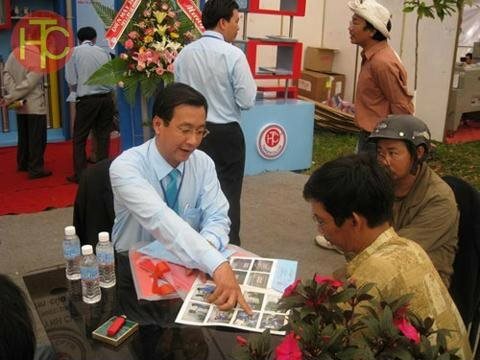 Let Tan Huynh Chau explain details for you to understand it well! When it comes to pumps then surely you also think of their main use is to pump water for living or any other needs. But it is not all, they are also special because of the deep underwater working environment, which is a feature that common pumps are often unattainable. 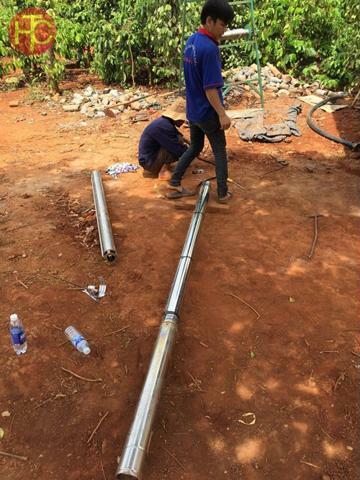 Next, let's learn about the principle of borehole pump operation! Borehole water pumps as well as other borehole pump series work based on the principle of centrifugal force to pump water up. Poor quality pumps will cause you to be harder every time you want them to work, you have to add water to fill the pump. But with borehole water pumps, you do not need to do it because the machine will do it automatically. .
As mentioned above, after the principle of operation, we come to talk about the structure of this borehole pump. Borehole pumps are made up of components such as the pump body, pump shaft, working wheel, inlet and outlet parts. 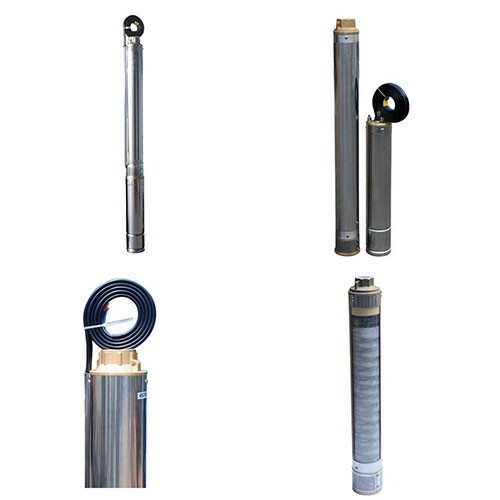 - Pump shaft: This is considered the pillar of the borehole pump because it connects with the working wheel and is made of steel, so it is very strong and durable. 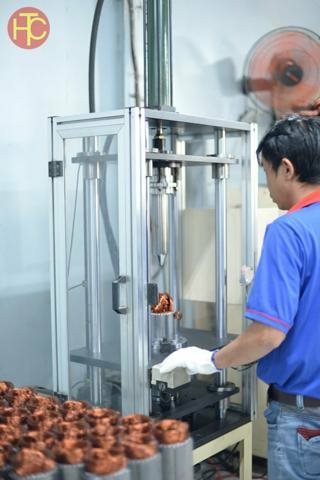 - The working wheel part is designed to consist of three main types: a fully opened wing or partially opened wing and a closed wing. 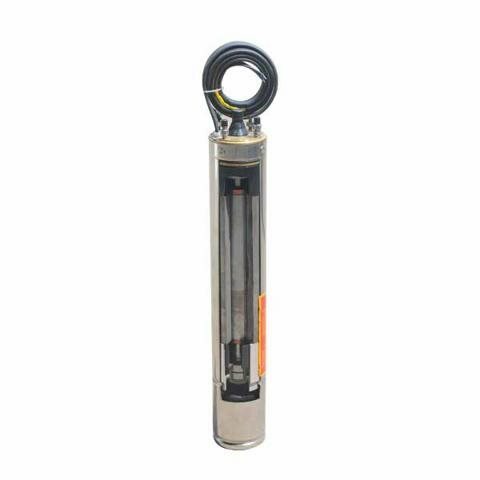 This unit is installed with the shaft of the pump and some other parts and plays a major role in the operation of the borehole pump, which we often call as a rotor. Because it plays a big role, the material that constitutes it must be special such as cast iron and steel with advanced technology. In addition, the surface of the working wheel is very smooth to avoid damage when the submersible pump works. - The inlet/outlet unit consists of a number of small parts, including outlet valves, suction valves, outlet pipes, suction pipes and other related components, for pumping water and transporting water upwards.